The family of Baltimore County Police Officer Amy Caprio have released a statement expressing their gratitude to the local community. 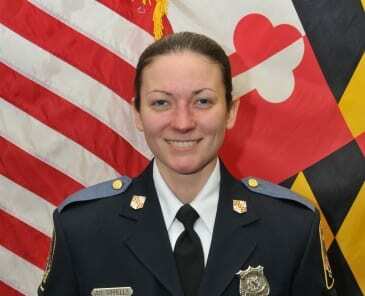 “The Sorrells and Caprio families of fallen Baltimore County Police Officer Amy Caprio would like to extend their sincerest gratitude to their family and friends, their family in blue, the community, and the general public. The immediate and continued show of love, support, and compassion from not only the surrounding community, but from around the nation and internationally, has been overwhelmingly moving to Amy’s family, friends, and coworkers. Through the compassion that has been shown, and memories that have been shared, Amy’s spirit will live on and continue to shine light on the good that can come from a tragedy. “To those who have sent cards, flowers, food, gifts, and artwork, please know that each gift has meant so much to every family member. To thank each and every one individually would be an insurmountable task; however, the family would like to extend their thanks to the Fraternal Order of Police Lodge #4, Schimunek Funeral Home, Mountain Christian Church, Brothers Before Others, and so many additional organizations, private companies, and schools who have given and aided in this healing process. What has been apparent from the onset, is that Amy touched so many lives (either directly or indirectly) and it has been your love and prayers that have given her family the most precious gifts of all. For this, both families humbly thank each of you. Officer Caprio died in the line of duty back in May while investigating a suspicious vehicle in a Perry Hall neighborhood.